Meetingbird now integrates with Trello! Simply click the "Add Account" button in the sidebar to connect your Trello account, and Trello cards with due dates will appear on your calendar. By clicking on any Trello event, you can edit its name or due date and change its list or completion status. Round robin and group scheduling using team Meet links is now available, for free! 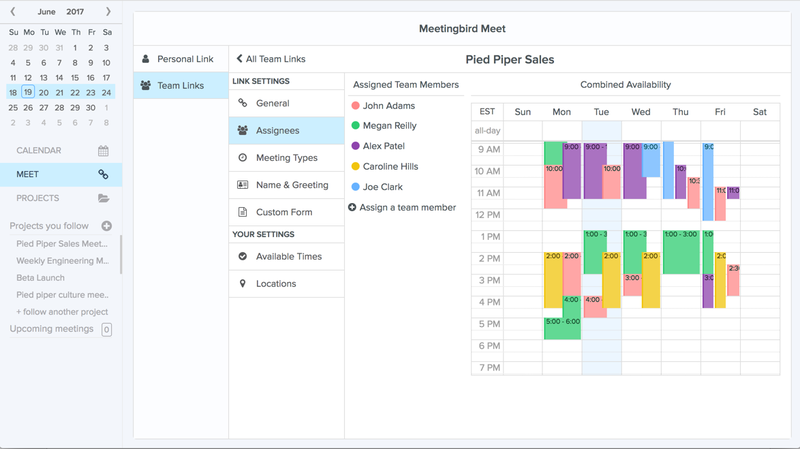 Whether you need a group scheduling link for your product team or a round robin link for your sales team, team Meet links can streamline scheduling for your whole organization. Have a lot of calendars to manage? You can now collapse accounts in the sidebar to make it easier to find the calendars you use most.